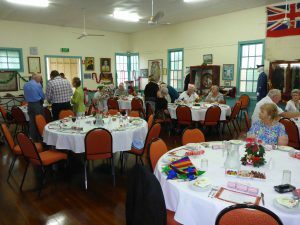 If you need a venue in the Yandina-Eumundi area for business events or personal gatherings we can try to assist you with a great venue to ensure your event is a success. 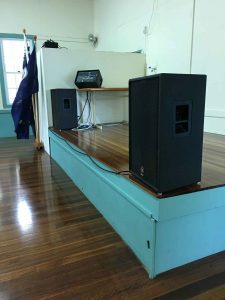 From informal events to regular classes through to formal function or any event, to weddings, our own RSL Hall has good facilities to accommodate most requests and is often available to suit your needs. There are many regular bookings at the hall from yoga, fitness & dance classes to monthly meetings. We like being able to support local businesses, groups and organisations with the most affordable regular hall hire in the area. All regular bookings are invoiced monthly. There are great facilities for formal dinners, parties and weddings. We can arrange for full-day access to ensure that you have time to setup to the hall the way that you want it to look. If you need additional resources like linen, such as table clothes, chair covers and table decorations we can help you to set up the room to suit your needs. A hire agreement must be completed by the hall hirer. The agreement details our current conditions for hall hire. A copy of a certificate of currency – a current insurance policy with public liability must be provided to secure your booking. Our online calendar displays our confirmed bookings. If you need any help to find an appropriate opening in the calendar or to arrange a viewing or to make a booking contact us using the details below. Please contact the RSL directly to make a booking. Our fees are the most affordable of any hall hire in the local area. The amounts listed below are the minimum hire costs. Some events or hire may attract a higher fee. Please confirm the price when booking. Bond from $150 – Refundable on satisfactory completion of hire. 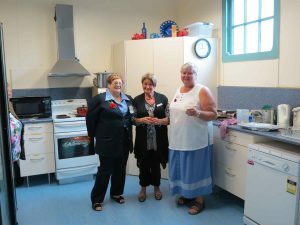 plus an additional $25 per hour using kitchen facilities. Additional fees/increased rate will apply for functions with large groups or alcohol is served. Bond is required for all bookings. Prices may be negotiable for charities, schools, non-profit charities etc. Hire of chairs & tables – outside use. Please note that there is no Delivery or pickup available by us.